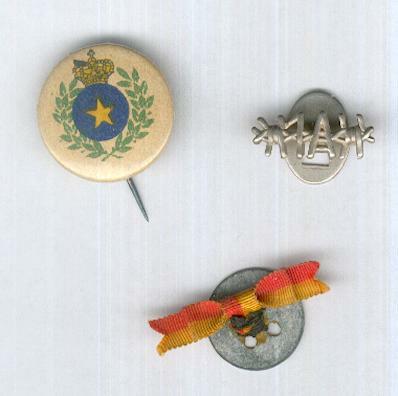 Lapel Badge of the Commemorative Medal for the Congo. 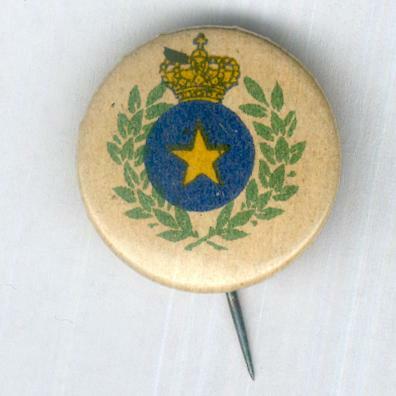 Circular stamped tin badge; the face with the Congolese gold-crowned deep blue circle bearing a five-pointed yellow star within a green laurel wreath; the reverse plain with pin for wear; slight enamel damage; diameter 22.41mm (0.88 inch). 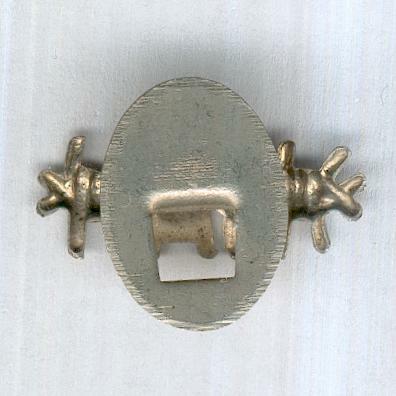 Lapel Badge of the Liege Medal, 1914. 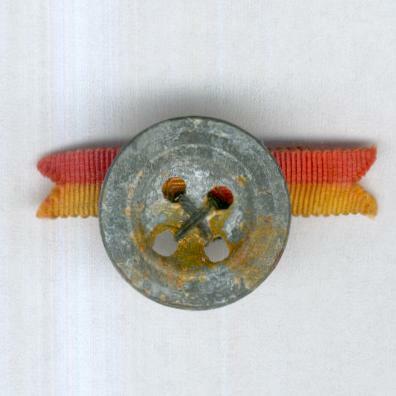 Buttonhole rosette with a ribbon in the orange and yellow colours of Liege; width 29.76mm (1.17 inches). 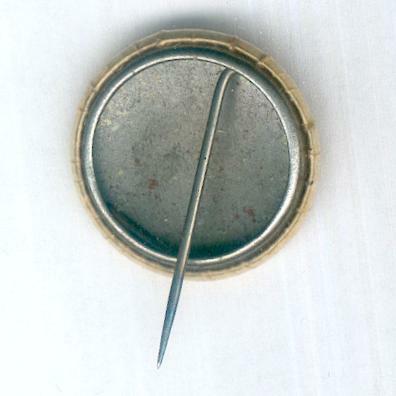 Lapel Badge for Former Prisoners of War of Stalag 1A. 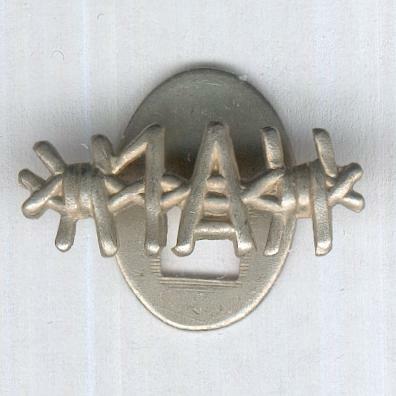 Lapel badge in the form of barbed wire with the characters ‘1A’ centrally; the reverse with oval plate for wear; width 20.09mm (0.79 inch. 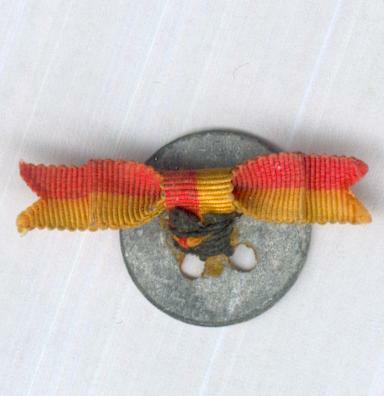 Stalag 1A was situated in East Prussia near what is now Dubrovka in the Russian Kaliningradskaya Oblast and housed some 23,000 Belgian prisoners who had been captured in 1940.